February – as well as late January – has hit us like a ton of bricks, or more accurately, a ton of snow! We made it back from SHOT Show after seeing all our industry friends in lovely, warm Las Vegas, but since then we’ve had an extended cycle of snow storms and deep cold that has left us thinking of warmer latitudes. Nevertheless, this is Winter in Maine and we take advantage of it with snowmobiles, ice fishing, snow shoes and skis. The featured rifle this month is our TrueTimber Snowfall Camo SRC – perfect for taking out any groundhogs that claim there are another 6 weeks of winter! With its striking snowfall camouflage pattern, they’ll never see us coming! However, rather than threatening climatologically inclined rodents, we’ll just keep in mind that Spring is only about a month away and we’ll continue to focus on making the finest AR platform rifles anywhere. So, check our website for any parts or accessories you might need for your rifle, and be sure to see our new laminated hardwood stocks & forends for the AR below. Since the .308’s pistol grip install is a little different from a mil-spec AR15, here are instructions for properly installing the ERGO SureGrip, or any other kind of AR15 pistol grip on the Windham Weaponry .308. To purchase an ERGO SureGrip, please see the link below. Due to a large number of inquiries from customers on this topic for both .223/5.56 and .308, we are highlighting the question we covered in June 2013. Yesterday (1-6-2015) I picked up my second WW AR. My first was the HBC (9-2012). Yesterday it was the SRC-308. I have wanted this one since reading the first articles on it, from the development stages to manufacturing. The salesman brought the box out and opened the case and every person at the counter moved to look at my new rifle. There were oohs and ahs and I want one of those coming from 7 guys. I felt like a newborn father. I personally was very impressed, it is a very impressive rifle. I have a few things to do to it before shooting it (parts ordered, iron sights, raised see thru scope mount and 6X24 Nikon BDC scope), but know when I do I will not be disappointed. You guys Rock. I finally got the opportunity to sight in my WW AR-15 SRC and not only am I happy…I am very, very impressed! I outfitted my AR with front and rear Magpul MBUS flip up sights and mounted a Redfield Counterstrike Red/Green Dot 1mm x 30mm with laser. I sighted the MBUS sights dead on at 50 yds. I also sighted the Redfield dead on at 50 yds. Both at sub MOA. I then shot at 100 yds. Both were sub MOA. 1.5 in. high. Ammunition used was American Eagle and Winchester both 55gr. FMJ. I have always strived for the utmost accuracy in my firearms. My Windham lets me achieve that goal. This AR is awesome. Thank you for building such a fine rifle! I’m proud of it!! I called your customer support in regards to mounting the Magpul MBUS front sight on the gas block, due to hearing about the concern (which is on the package that the sight came in) that heat from the gas block would melt and damage the sight. The lady that I spoke with at Windham stated that unless I was firing fully auto for an extended period of time that I would not have any issues with the sight. She was very pleasant, professional, and left me impressed with her knowledge on the subject we were discussing. You guys are first class. You may not believe this but I stumbled upon your company by accident. I was a previous owner of a Colt AR-15. I sold it several years ago and was in the market to buy another. The gun dealer I was talking to said it would be a few days before he could order it. I went home and was surfing the web when your name popped up. I read the history on Windham and read all the reviews I could find. What a story! I decided to take a chance and made the purchase. I’m so glad I did. Having owned a Colt, (they do make a fine AR) I would not trade my Windham for any amount of Colt AR’s…..period. Windham shoots better, handles and feels better, and even looks better (love the finish). I’ve handled other brands on the range from friends, even the Bushmaster, and in my opinion, the Windham is the best AR rifle produced today. The icing on the cake? It’s made in the proud, good ol’ USA! Our new models with laminated wood stocks and forends have proven to be so popular that we decided to offer the “furniture” sets as accessory items. This 2 Piece Rifle Length Forend is CNC machined by Boyds from fine laminated hardwood sourced in Maine. Designed to fit the round handguard cap, it installs just the same as standard plastic AR handguards (note: these are split vertically, while standard handguards are split horizontally). They will not fit the triangular handguard cap. These quality hardwood laminations will not warp or swell, and have a semigloss overcoat for long lasting beauty and durability. They are offered in 3 finishes: Forest Camo (upper image), grey “Pepper” (middle image), and the brown “Nutmeg” (lower images). Barrel cooling vents are machined into the upper area, and the bottom features a gentle palm swell. Overall Length of the parts is: 11 15/16″ / Shoulder to Shoulder Length: 11 21/32″. Note that the manufacturer Boyds states that natural cosmetic imperfections such as minor knots, burls, heartwood, mineral lines or minor cosmetic fill work are not considered a defect. manufacturer Boyds states that natural cosmetic imperfections such as minor knots, burls, heartwood, mineral lines or minor cosmetic fill work are not considered a defect. These fine laminated hardwood buttstocks for the AR platform rifle are sourced from Maine Hardwoods and CNC machined by Boyds to fit A2 fixed length Receiver Extension Tubes (will not work with the Telestock Receiver Extension Tube). The fine dense hardwood lamination will not warp or swell, and is finished with a semigloss overcoat for long lasting beauty and durability. A 1/2″ rubber buttpad is fitted for comfort. These stocks are offered in 3 finishes: a multi colored “Forest Camouflage”(Top); the grey “Pepper”; (Middle); and the brown “Nutmeg” (Bottom). Overall Length of Stock:10 3/4″ / Stock Height at Receiver: 2 1/8″ / Stock Width at Receiver: 1 7/8″. Note that the manufacturer Boyds states that natural cosmetic imperfections such as minor knots, burls, heartwood, mineral lines or minor cosmetic fill work are not considered a defect. When installing, make sure that the Takedown Pin Spring & Detent are properly housed within the Lower, and avoid overtightening the screw that holds the stock onto the A2 Receiver Extension Tube. Screw should be hand tight to a solid stop and then no more than a quarter turn more. Shot Show was amazing and I would like to personally thank everyone that stopped by to say hello. The show was very well attended and traffic at the Windham booth was nonstop. As always, I love to meet so many officers from all around the country that I have been doing business with over the previous year. My Armorer’s Class being held here at the factory on March 3rd & 4th is completely full and should be a great time. Now we just have to keep our fingers crossed that we don’t get another 2 feet of snow during that time. 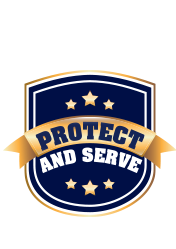 We have been busier than ever doing custom builds for Police Departments across the country. From a custom .308, to a tricked out short barrel rifle, we are doing all we can here at WW to meet the growing needs of Departments all around the country. 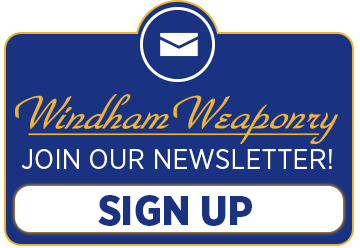 So, if your Department has a special build in mind, please get in touch with me at Tcoons@windhamweaponry.com and I will see what we can do for you. The special for the next month, February 13th to March 13th, will be a second FREE aluminum magazine with any Individual Officer rifle purchased. You will receive the discounted price on the rifle, as well as your choice of an extra 5, 10, 20 or 30 round aluminum magazine with your purchase of a rifle. Stay safe and thank you for your support. Outside of work, Chris shared “I am engaged to a beautiful, loving woman.